Anyone who has to use social media as part of their job has probably encountered this, and it really is an important question. 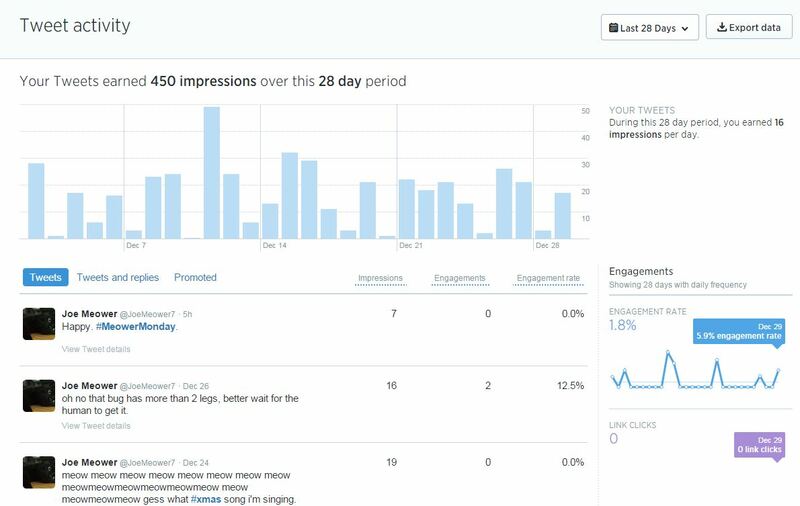 In this post, we’ll go over how to access your Twitter analytics, and take a look at what tweets are performing best for your practice. First, if you have a Twitter account, that means you can easily access your Tweet activity dashboard. This is where all of your Twitter analytics are located. If it’s your first time logging in, go to analytics.twitter.com and log in with your Twitter credentials. After your initial log in, you can get to the analytics tool from a desktop by clicking on your Twitter icon in the upper right corner, then click on “Analytics”. What you’ll see next is a snapshot of your last 28 days of activity. The first thing to do now that you’re in your analytics account is to export the data into an Excel spreadsheet. Twitter allows you to download about 90 days’ worth of information at a time, so you may need to set dates and export your data a couple of different times. When you’ve done this, compile all the data into one spreadsheet and work from there. There are all kinds of ways you can slice and dice the data. One of my favorite metrics to check out is “URL clicks” because it shows you what kinds of clickable content your audience is interested in and can give you insights into how to compose your tweets. Another one that can be useful is the “Hashtag clicks” metric. If your practice frequently attaches the same hashtag to a tweet, it’s a good way to see if your audience cares enough about the conversation to click on a hashtag or not. This should help you get started in analyzing your tweet activity. Are there any metrics you’ve found to be particularly useful? Let us know in the comments!